Lace up for the Dogfish Dash! The 2018 Dogfish Dash is set for Sunday, September 30 here at our Milton brewery in historic Milton, Del.! 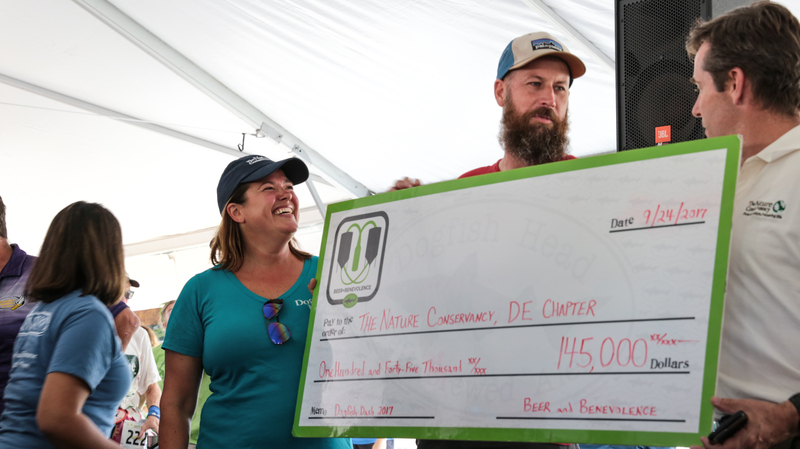 With the field open to 3,000 runners this year, we hope you're ready to ‘run for nature’ and help us raise funds for The Nature Conservancy, Delaware! Registration for this annual event will open at 12 NOON on WEDNESDAY, APR. 4! Known to sell out in minutes, be ready with all your information to help ensure you move through the checkout process all the more swiftly. Want to avoid the registration day rush? Check out the Dogfish Inn VIP Dash Package. With the course mapped out, t-shirts on order and sponsors still flowing in, we're excited to welcome back the Speakman Company as the Lead Sponsor for 2018! A fellow Delaware company, Speakman has pioneered the shower industry for close to 150 years, first as a premiere American technology innovator, and continuously as a shower market leader. Today, Speakman continues to focus on performance, craftsmanship and the stewardship of our most precious natural resource - water. From showerheads and designer-inspired bath collections for the home, to fixtures for the hospitality industry and safety products for commercial, laboratory and industrial environments, Speakman engineers excellence. 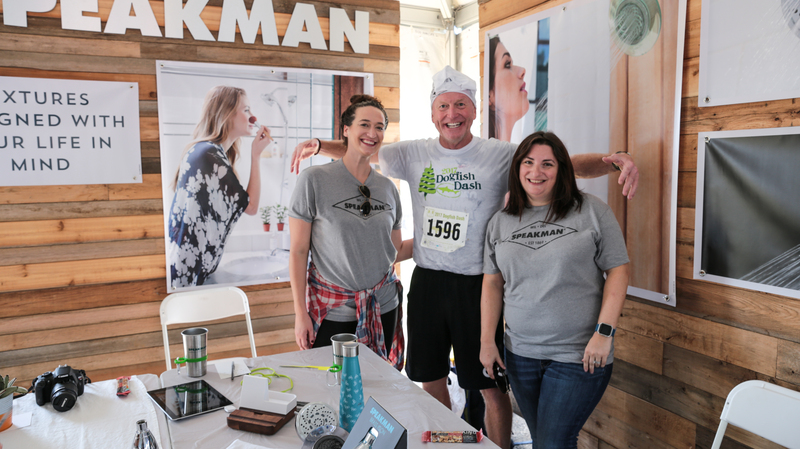 That excellence is the very reason you'll not only find Speakman at this year's Dogfish Dash, but you'll also find them in each of our showers at the Dogfish Inn! We're buzzing with excitement about this year's Dash and we hope you are too! Everything you need to know for the 2018 Dogfish Dash can be found by clicking right here! Mark your calendars to register and lace up for nature! And don't forget to share your training photos! Just be sure to use #DogfishDash!